Modern and sophisticated, these illuminating diamond drop earrings feature five cushion diamonds (VS clarity) that total 3.71 carat total, set in a linear design. The top and bottom cushions feature stunning natural vivid yellow diamonds, fashioned into halos, 0.45 carat total. 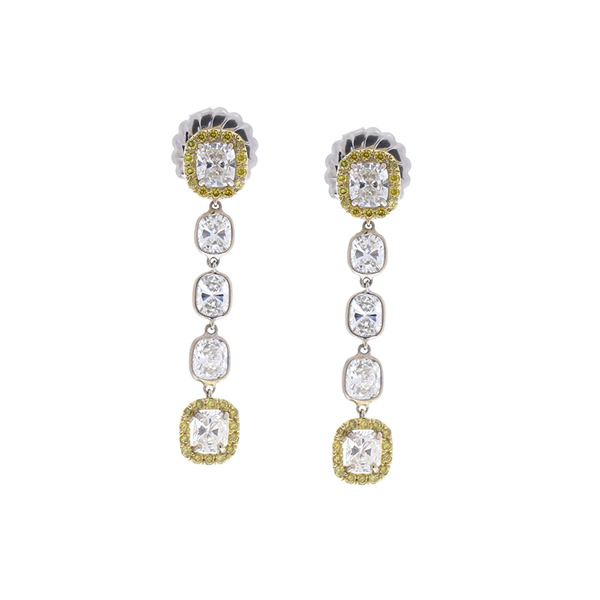 The earrings are hand-wrapped in 18 Karat yellow and white gold which provides a dynamic contrast. You�ll love the way these look and feel!